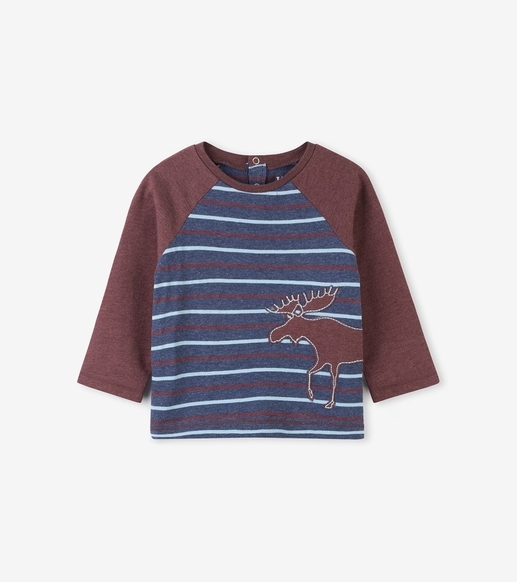 This cute Red Moose raglan top is striped and has snaps at the back of the neck for easy on-and-off. The red is a heathered red color and the perfect color for fall! By Hatley.